Unbeknownst to many woman having a minimally invasive hysterectomy, their uterus may have been “morcellated,” meaning it was cut up into very small pieces and then removed through the small incision. This morcellation process uses a variety of commercially available “morcellators” specifically designed for hysterectomies. 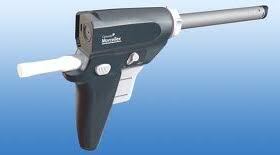 Often, patients are totally unaware that a morcellator was used during their surgery. 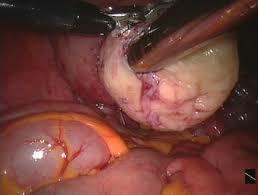 It is well known that in some hysterectomies, the uterus is hiding within it a cancerous lesion. Recently, substantial evidence has revealed that use of a morcellator may spread cancer throughout the abdomen and body – resulting in metastatic sarcoma/cancer. The resulting metastatic sarcoma greatly limits the treatment options available and shortens the patient’s life. The Centers for Disease Control and Prevention has estimated that approximately 600,000 women in the United States undergo hysterectomies each year. An increasingly popular technique for performing hysterectomies is a minimally-invasive method using a laparoscope (or using the Intuitive Surgical robot) where small holes are made instead of large surgical incisions. Such minimally-invasive surgery has many benefits, including less scarring, faster recovery, and less pain. However, for women undergoing hysterectomies with uterine fibroids or other lesions, this popular procedure may be lethally dangerous. It is somewhat common for women over 35 to develop fibroids in their uterus, which are abnormal growths of muscle tissue. These fibroids are also known as “leiomyomas” or just “myomas.” Most fibroids are not cancerous and pose no serious risk to women. However, as many as 1 in 400 of these women, perhaps more, actually have a very dangerous form of cancer known as a leiomyosarcoma masking as a fibroid. In order to remove the fibroids (or entire uterus) from the small holes in the women’s abdomens, the fibroids and/or uterus must be ground up in a procedure called “morcellation.” Essentially, a surgical device shreds the fibroids and uterus so that they fit through the tiny incisions. A video showing this procedure can be found on YouTube. The solution to this dangerous problem may be something as simple as using a surgical specimen bag or intra-abdominal bag where the fibroid or uteruse is placed into a bad before it’s morcellated. The morcellation then takes places in the bag essentially eliminating the risk of seeding. Such a simple solution, as well as the dangerous of morcellation, have been well-known by the manufacturers of the morcellators and physicians for some time. If you or a family member have had a minimally invasive hysterectomy and later developed metastatic sarcoma or cancer, you should have your case reviewed by a physician-attorney able to analyze the medical and legal issues involved. In some cases, death may result from the metastic cancer spread by the morcellation process during a hysterectomy. 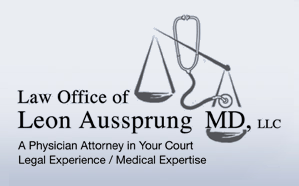 Call Leon Aussprung, M.D., J.D., LL.M. toll free at 855-770-0902 or email him directly at LA@AussprungLaw.com. The consultation with a physician-attorney is free and you pay nothing unless you recover. All cases are taken solely on a contingency fee basis.